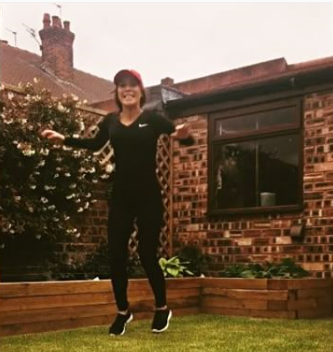 Jenny Croft, from Wallasey, is heading to the Lake District this weekend to take on Total Warrior and raise funds for Pancreatic Cancer Action. The 23-year-old marketing graduate was inspired to raise money for the charity after her grandfather was diagnosed with the disease earlier this year. Pancreatic Cancer is the UK’s fifth biggest cancer killer with a shockingly low survival rate of just 4 per cent. This is due to fact that the disease is often diagnosed too late for surgery, which is currently the only cure. Jenny said: “My grandad was very lucky to be diagnosed in time for surgery but for many patients, this is not an option. Pancreatic cancer needs more funding and awareness, and this is why I’m willing to take on this challenge to raise funds. Total Warrior is a 10K obstacle course designed by ex-military personnel. Pancreatic Cancer Action is a charity based in the UK whose mission is to change pancreatic cancer survival number and focus on improving early detection statistics. The charity’s approach is to raise awareness of pancreatic cancer to the public, the medical community and Government, provide education and training on pancreatic cancer to medical professionals and fund research specifically into improving early diagnosis of pancreatic cancer. Previous Article MacMillan release new report ‘Cancer: Then and Now’ Next Article PCA awarded Top 100 Cancer Blogs!